The style number is DM 8606. The leather uppers are in clean condition with the odd mark and the stiff soles have plenty of life left in them. The inners are clean but they may require new inner soles. Best Quality Winter Boots.SOLD NEARLY 3000 !!!! ladies brand new with box purple Timberland boots size 6. Condition is New with box. Dispatched with Royal Mail 2nd Class. 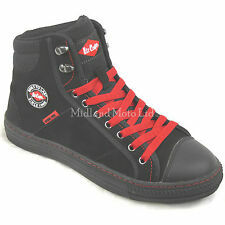 WOMENS LACE UP COMBAT ANKLE DOC MARTIN STYLE BOOTS SIZE 5. Condition is Used. Dispatched with Royal Mail 2nd Class. Only tried on never worn out . Excellent condition . Grab a bargain.